The Voice of Freedom introduces audiences to the operatic art form by celebrating African-American cultural history through song, highlighting spirituals, gospel and works from the Harlem Renaissance. 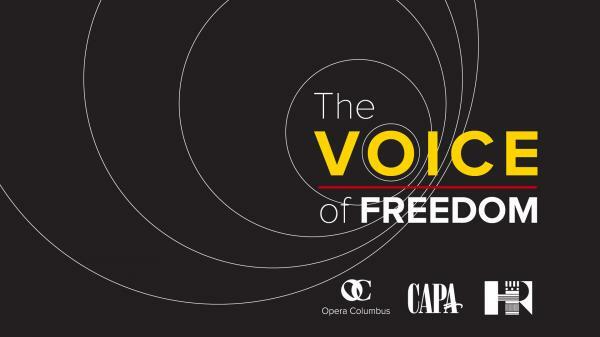 Opera Columbus, CAPA and the Harlem Renaissance at 100 initiative present The Voice of Freedom to introduce audiences to the operatic art form by celebrating African-American cultural history through song. Universal in its emotional and musical appeal, this unique production will highlight spirituals, gospel, and works from the Harlem Renaissance. The Voice of Freedom aims to share the African-American experience with audiences of all ages, races and religions. Free performance at Main Library from 7-8 p.m. Seating begins at 6:30 p.m. No registration needed. Free parking in Main Library's attached garage.